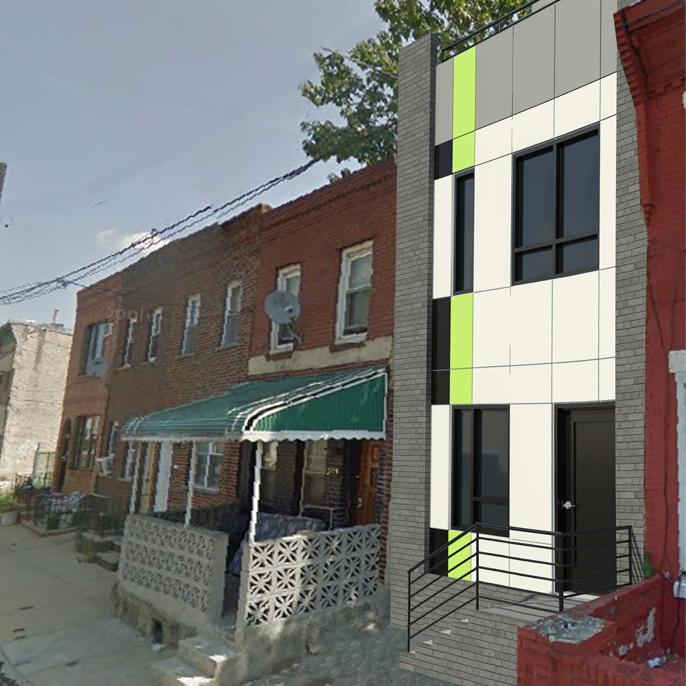 Design for 2 new construction, 3-story single family row homes in Philadelphia. 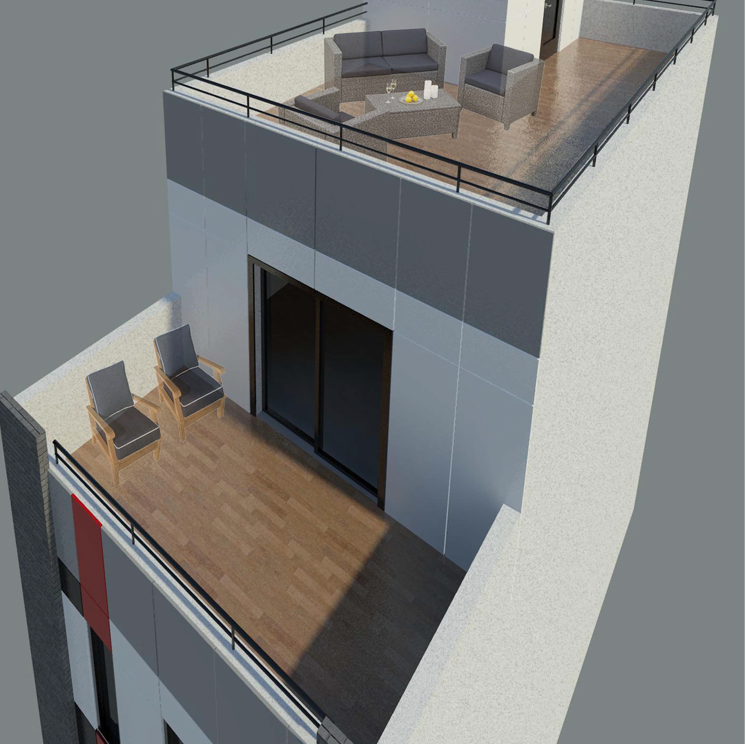 The modern design features large picture windows, a 3rd floor master suite with walk out terrace, as well as a roof top terrace. 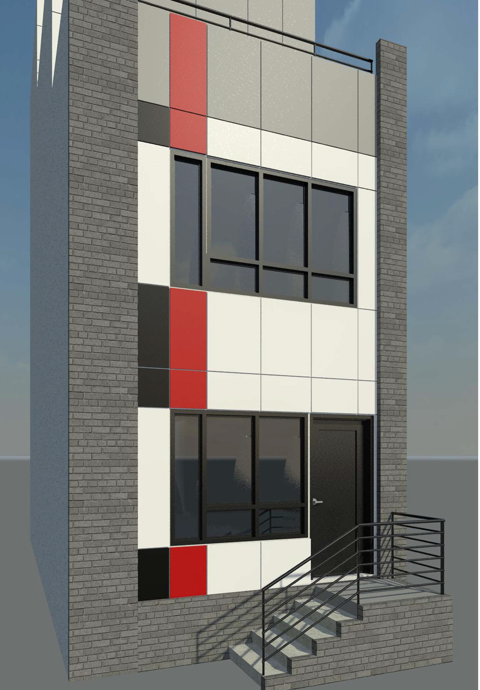 The material selection on the front façade features an interplay of monochromatic brick, and metal paneling with a vibrant accent color.